French country baby nursery with toile accents. Charming and perfectly welcoming. Handcrafted of full-lead crystal and chrome. Five-piece bedding set includes: one quilt (36" x 45"), one fitted sheet (28" x 52"), one dust skirt (16" drop), and one diaper stacker (16" x 10.5" x 8"). 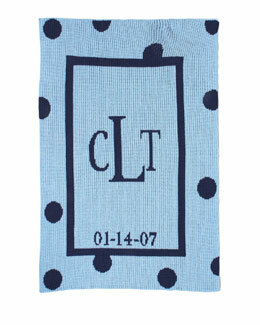 Cotton; machine wash. Wrap your baby up in warmth and comfort with the Levtex Baby Charlotte Blanket. Made of soft white plush fabric with an adorable pink pompom trim, this blanket features a cute embroidered gold butterfly on the front and a white polka-dot pattern on a teal ground on the back. Once a member of Mathias et Nathalie, a duo renowned for their cardboard paintings and expressionist sculptures, French art and designer Nathalie Lete now works as a solo artist, creating paintings, ceramics, textiles, jewelry, books and toys centered on themes of fantasy, humor and childhood memories. With this limited edition, grand-scale floral mural, the artist awakens the child-like wonder in all of us, leading one to imagine what it might be like to be minute amid a verdant meadow. Glade is one of the most exciting carpets ever produced. It is a fabulous braided design and construction. Made using very fine, fine clear wool yarn with real Sari Silk highlighting each coloration. Perfect for any size area rug. Completely reversible for years and years of performance. Cream/blue Bring some cozy comfort and cheerful style to cuddle time with the charming macaroon motif of this super-soft Minette hand-warmer pillow and throw from Urban Dreams. Organic cotton Bohemian interior maven Justina Blakeney imbues her signature "jungalow" style into everything she creates. A play on her inspirations - jungles and bungalows - her designs are eclectic, colorful and always imaginative, and each makes a welcoming statement in your home. Simon Te photography print of baby animal on photo paper. Each print sold separately. Paper, glass, polystyrene. Glade is one of the most exciting carpets ever produced. It is a fabulous braided design and construction. Made using very fine, fine clear wool yarn with real Sari Silk highlighting each coloration. Perfect for any size area rug. Completely reversible for years and years of performance. Cream/blue MacKenzie-Childs bunny bank. Made of majolica with hand-painted checks and bouquets. Handcrafted transitional semi-flush ceiling fixture. Iron and optical glass Perched atop solid wooden legs, this luxe velvet respite sets a sunny day's tone for an entire room with colorful blooms and a plump, plush seat. Two-piece set by Oilo Studio includes cuddle blanket and star-shaped pillow. Soft cotton jersey and plush. Machine washable. Pink glass table lamp with acrylic base. Appliquéd pink and gold hearts decorate the center of this crib rail cover along with a cascade of various sized printed hearts. A Velcro strip, the length of the cover, ensures a perfect fit. Handcrafted giclée on gallery wrapped canvas. Textured gel finish. Silver leaf float frame. Canvas and wood. Envelope neckline. 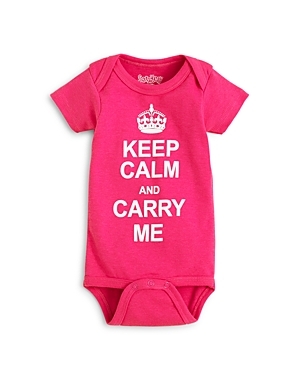 "Keep Calm and Carry Me" print. Snaps at the seat. Cotton Rug hand tufted of wool Accent chair has hardwood frame with cotton and cotton/linen upholstery. Brass nailhead trim. Light blue knit with dark blue polka dots. May be personalized with initials and date of birth in style shown. Brooklyn-based Danielle Kroll is an artist, designer and Anthropologie art department alum. Her whimsical styles, inspired by her ever-growing personal collection of vintage memorabilia, will awaken your curiosity and enliven your day. Nipperland Natural Cotton Nursery Bedding shows a refined sense of taste that promotes healthier and safer sleeps for your little one. Made from the purest fine Cotton, washed without chemicals. Comes in beautifully decorated gift box. Exceptionally soft and luxurious. Inspired by her life's joys - her travels, her daughter, her dog and more - illustrator Carolyn Gavin creates imaginative representations of the world from her light-rich, century-old Victorian home in Toronto. Each heirloom-in-the-making is a perfect playmat, stroller blanket or pop of color in the nursery. Inspired by her life's joys - her travels, her daughter, her dog and more - illustrator Carolyn Gavin creates imaginative representations of the world from her light-rich, century-old Victorian home in Toronto. Cotton percale Handcrafted from natural banana fibers, this globally inspired basket is perfect as a decorative, yet functional piece in any space you choose. This 4 piece set features Snoopy and Woodstock having fun on various patterns of chevrons, stripes and dots in blues, whites, grey and canary yellow. The set includes a quilt, fitted sheet, crib skirt with Snoopy appliquéd and tiered diaper stacker. Our favorite canine Snoopy hugs his best pal Woodstock. The pillow front is a modern chevron print in blue, white, and gray with our lovable furry appliquéd Snoopy. Our 4 piece perfect fit crib bumper has two long sides and have a total of 16 sets of ties to securely hold the bumpers in place. The two short and has 8 sets of ties. This baby soft blanket with Snoopy appliqué on chevron print. A nod to 18th-century English furniture, this cheerful seating extends an invitation to settle back into its diamond-patterned pleats. Rolled English arms ending in a single button tuft complete the picture of leisure. Plush velour with peek-a-boo puppy appliqué. Contrast facing and trim. If desired, personalize with embroidery (up to 11 letters) in the style shown. Polyester; machine washable. An ideal spot to store blankets or books, this handcrafted basket features a classic diamond motif with subtle stripes and tassels at the sides. Once "spotted," this adorable Dalmatian cannot be forgotten! A perfect companion for any dog lover or as a mascot at the firehouse. With top-quality construction and attention to details, right down to its floppy ears, this polka-dot pooch is oh-so lovable! 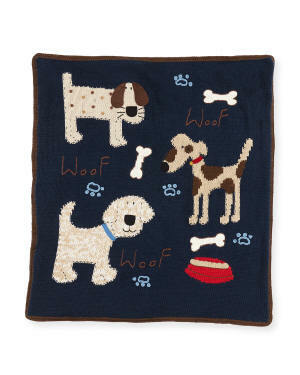 Art Walk soft-knit blanket featuring Woof Woof intarsia with dog motif. Jersey-knit, polka-dot reverse. Contrast knit edges. Art of Walk fitted baby knit beanie with spotted dog appliqué Hanging crochet bones at top. Contrast rolled brim. Cotton; machine wash. Cotton canvas; leather and wood handles Art Walk "Woof Woof" sweater in cotton with dog intarsia. Contrast through neck, hem, and cuffs. Round neckline; button front. Long sleeves. Relaxed fit. Puppy Love Plush Blanket, Pink Bellissima Chandelier Gund Jumbo Spunky Plush Puppy Stuffed Animal, 24"
Boogie Baby "Puppy Love" plush blanket. Sheepdog puppy with bone appliqué at front. If desired, personalize with embroidery (up to 11 letters) in style shown. Contrast edge and reverse. Approx. 40"H x 34"W. Polyester; machine washable. Made in USA. Tiers of handcrafted wooden beads give this modern chandelier a stunning, boho-inspired twist. Features super-soft fur, as well as cute spots that baby will absolutely adore. This gender-neutral gray puppy works well for both playtime or nursery décor. Your child's safety is our top concern, so this Baby GUND product features embroidered eye and mouth details. Recliner in a distinct branch motif with white blossoms. Features rechargeable battery pack for fully powered recline option. Muttsy is a classic beige stuffed dog that's been spreading joy for over 30 years, now with updated plush that makes him softer than ever before. His long, floppy ears as well as super-soft fur make him perfect for petting, cuddling, and more. This 14" Muttsy makes a great gift for that special canine enthusiast in your life. As always, high-quality plush material ensures that GUND products remain loyal companions for years to come. Surface-washable for easy cleaning. Appropriate for ages 1+. Boogie Baby "Peek-A-Boo" towel. If desired, personalize with embroidery (up to 11 letters) in style shown. Dog appliqué on back. Contrast microfiber hood. Boogie Baby "Puppy Love" plush blanket. Sheepdog puppy with bone appliqué at front. If desired, personalize with embroidery (up to 11 letters) in style shown. Contrast edge and reverse. Looped trim at sides. Approx. 40"H x 34"W. Polyester; machine washable. Cotton A playful puppy motif, courtesy of Swankie Blankie, is sure to get your little one to keep still for drying after bath time. A collection of whimsical and brightly-colored puppies with unique personalities are adorn the Creative Bath Arf Bath Collection. Dog-gone cute trash basket for a kids' bath makes cleaning up great fun! A collection of whimsical and brightly-colored puppies with unique personalities are adorn the Creative Bath Arf Bath Collection. 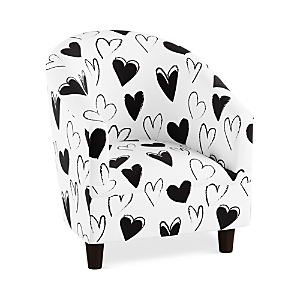 Make a big statement with this petite version of the classic barrel chair from Sparrow & Wren featuring an alphabet and animal print with endless charm SureStrip backing allows for paste-free application and easy removal. Paper. USA Steiff "Taffy" dog handmade by skilled artisans with the legendary Steiff quality. Independently tested to meet rigorous U.S. and European safety standards. A "friend for life" that's both durable and washable. World-famous "Button in Ear" trademark. From the company that pioneered soft toys in 1880. Designed for ages 0 and up.